The game had a very big importance for second-ranked Al-Manama as it allowed them to take a leadership position. Al-Manama defeated 5th ranked Al-Najma at home 101-85. Al-Manama dominated down low during the game scoring 62 of its points in the paint compared to Al-Najma's 32 and made 21-of-27 free shots (77.8 percent) during the game. They outrebounded Al-Najma 49-37 including a 39-27 advantage in defensive rebounds. Al-Manama looked well-organized offensively handing out 24 assists. The best player for the winners was international Wayne Chism (206-87, college: Tennessee) who had a double-double by scoring 22 points, 21 rebounds and 4 assists. 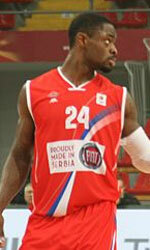 The former international forward Ahmed Ismaeel (203-90) chipped in 17 points and 9 assists. Al-Manama's coach used entire bench which allowed the starters a little rest for the next games. Fadhelallah Abbas produced 28 points for the guests. Al-Manama have a solid series of three victories in a row. As mentioned above they are at the top of the standings, which they share with Al-Ahli. Al-Najma lost fourth consecutive game. They keep the fifth place with four games lost. They share the position with Al-Ittihad. Another exciting game was between third ranked Al-Muharraq and 4th placed Al-Riffa where Al-Muharraq (3-2) beat Al-Riffa (2-3) on the road 74-70. It ended at the same time the two-game winning streak of Al-Riffa. The former international center Chester Giles (211-85, college: Oregon St.) orchestrated the victory with a double-double by scoring 26 points and 17 rebounds. Ahmed Aldurazi contributed with 15 points (was perfect 10-for-10 from the free throw line !!!) for the winners. American forward Shawne Williams (206-86, college: Memphis) answered with 24 points and 8 rebounds for Al-Riffa. Al-Muharraq maintains third place with 3-2 record behind leader Samaheej. Al-Riffa at the other side keeps the fourth position with three games lost. The game in Manama was also quite interesting. Second ranked Al-Ahli (4-1) played at the court of 6th ranked Al-Ittihad (1-4). Al-Ahli managed to secure a 5-point victory 77-72 on Sunday. Marcel Jones stepped up with a double-double by scoring 27 points, 13 rebounds and 4 assists for the winners. 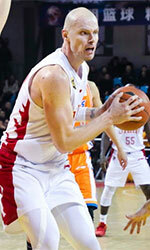 Mile Ilic responded with a double-double by scoring 22 points and 18 rebounds. Both coaches used bench players in such tough game. Al-Ahli keeps a position of league leader, which they share with Al-Manama. Al-Ittihad lost third consecutive game. They dropped to the fifth place with four games lost. They share the position with Al-Najma. The game in Manama was also quite interesting. Second ranked Al-Ahli (4-1) played at the court of 6th ranked Al-Ittihad (1-4). Al-Ahli managed to secure a 5-point victory 77-72 on Sunday. American-New Zealand forward Marcel Jones (203-85, college: Oregon St.) stepped up with a double-double by scoring 27 points, 13 rebounds and 4 assists for the winners and the former international forward Hesham Sarhan (-92) chipped in 17 points and 5 rebounds. Bosnian-Serbian center Mile Ilic (215-84) responded with a double-double by scoring 22 points and 18 rebounds and point guard Hassan Helal (173-95) scored 15 points and 5 assists. Four Al-Ittihad players scored in double figures. Both coaches used bench players in such tough game. Al-Ahli keeps a position of league leader, which they share with Al-Manama. Al-Ittihad lost third consecutive game. They dropped to the fifth place with four games lost. They share the position with Al-Najma. Another exciting game was between third ranked Al-Muharraq and 4th placed Al-Riffa where Al-Muharraq (3-2) beat Al-Riffa (2-3) on the road 74-70. It ended at the same time the two-game winning streak of Al-Riffa. Al-Muharraq made 31-of-39 charity shots (79.5 percent) during the game, while Al-Riffa only scored eleven points from the stripe. Al-Riffa was plagued by 27 personal fouls down the stretch. The former international center Chester Giles (211-85, college: Oregon St.) orchestrated the victory with a double-double by scoring 26 points and 17 rebounds. Ahmed Aldurazi contributed with 15 points (was perfect 10-for-10 from the free throw line !!!) for the winners. American forward Shawne Williams (206-86, college: Memphis) answered with 24 points and 8 rebounds and the former international guard Mohamed Kawaid (-89) added 14 points, 8 rebounds and 9 assists in the effort for Al-Riffa. Al-Muharraq maintains third place with 3-2 record behind leader Samaheej. Al-Riffa at the other side keeps the fourth position with three games lost. The game had a very big importance for second-ranked Al-Manama as it allowed them to take a leadership position. Al-Manama defeated 5th ranked Al-Najma at home 101-85. Al-Manama dominated down low during the game scoring 62 of its points in the paint compared to Al-Najma's 32 and made 21-of-27 free shots (77.8 percent) during the game. They outrebounded Al-Najma 49-37 including a 39-27 advantage in defensive rebounds. Al-Manama looked well-organized offensively handing out 24 assists. The best player for the winners was international Wayne Chism (206-87, college: Tennessee) who had a double-double by scoring 22 points, 21 rebounds and 4 assists. The former international forward Ahmed Ismaeel (203-90) chipped in 17 points and 9 assists. Four Al-Manama players scored in double figures. Al-Manama's coach used entire bench which allowed the starters a little rest for the next games. Fadhelallah Abbas produced 28 points and American Kevin Rogers (206-86, college: Baylor) added 18 points and 12 rebounds respectively for the guests. Al-Manama have a solid series of three victories in a row. As mentioned above they are at the top of the standings, which they share with Al-Ahli. Al-Najma lost fourth consecutive game. They keep the fifth place with four games lost. They share the position with Al-Ittihad.